Ask any beauty expert or beauty platform what the best treatment s for pimples, and you’ll hear tea tree oil. And for good reason – this “miracle” oil zaps zits overnight, and frustratingly, even in adulthood, I still get pimples that need tending to (yay – laugh lines AND zits). 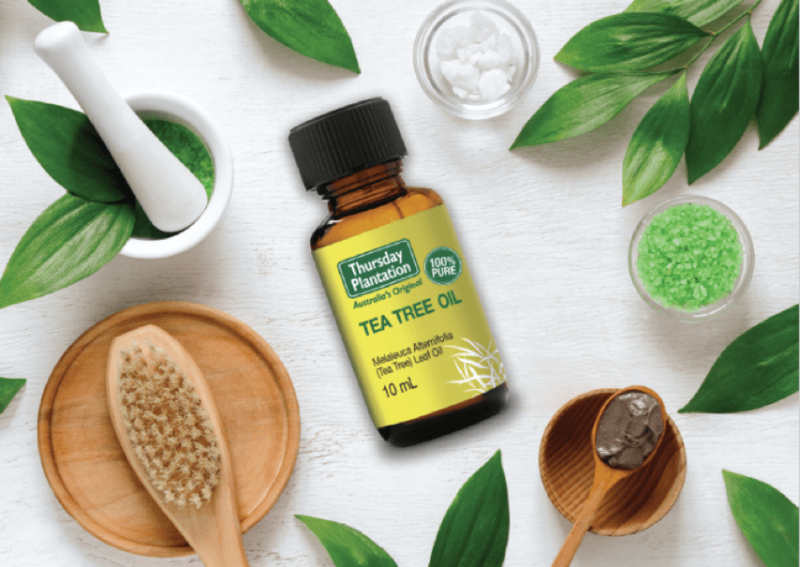 What you might not know is that tea tree oil isn’t just for pimples, and there are several restorative tea tree oil-based products, and lots of uses for the family, from the Thursday Plantation brand. I didn’t actually know this either – I’ve only ever and used just an oil. 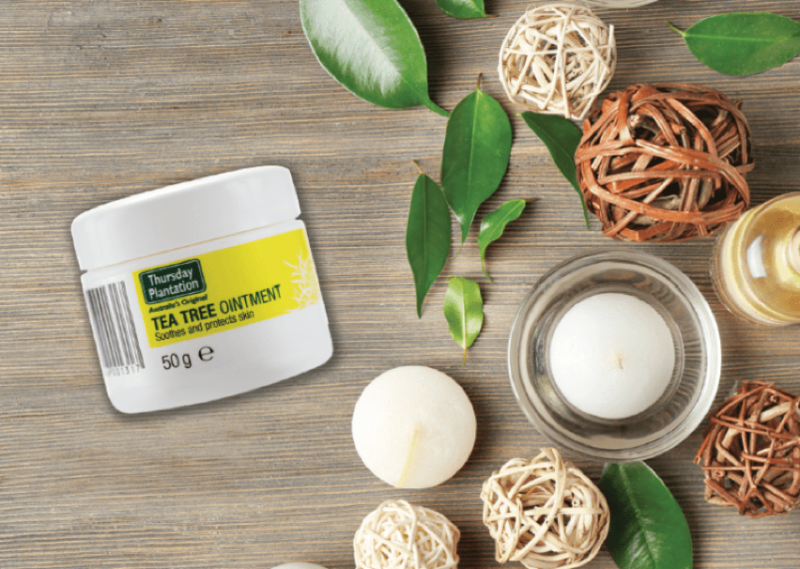 This almost 40-year-old brand is the world’s original tea tree company, using the therapeutic oil to treat things such as cuts, dry skin, and even skin irritations. 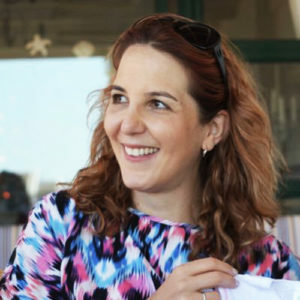 I have a friend who swears by it for keeping the mozzies away in summer – she simply applies it to her and her kids’ “hot spots”, ie the areas that mosquitoes favour or get to, and they stay away. Here’s some of what’s in the range, and what their uses are. We’ve been trialling them, and enjoying them so far. I won’t lie and tell you they are fragrant or heavenly smelling. They have a strong smell that I’m more used to over time, but which my son found pungent in the beginning. That said, I find a lot of natural oils like citronella take some time getting used to. This product is considered a “first aid kit in a bottle”, and has loads of healing, cleaning and therapeutic benefits. After cleansing and exfoliating, fill a sink with hot water, organic green tea, and 3 drops of tea tree oil. Put your head over the sink with a towel for the perfect steam. Need a foot spa? Add three drops to warm water, soak your feet, and enjoy! This ointment soothes and relieves minor skin wounds like cuts and grazes, skin irritations and dry skin and lips. it also helps the skin’s natural healing process, and it’s a great product to have in your first aid kit and when on holiday or on the playground etc. The Thursday Plantation specifically gave this to me as I run, and it’s good for neutralising odours and preventing odour formation. I’m not really odour prone in my feet, but it’s still refreshing anyway, and it’s not only good for sports folk, but also for those who are on their feet all day, or who wear shoes or sneakers with no socks, or those prone to foot odour. You can use it daily (don’t forget to spray in between toes), or you can spray into shoes and socks. 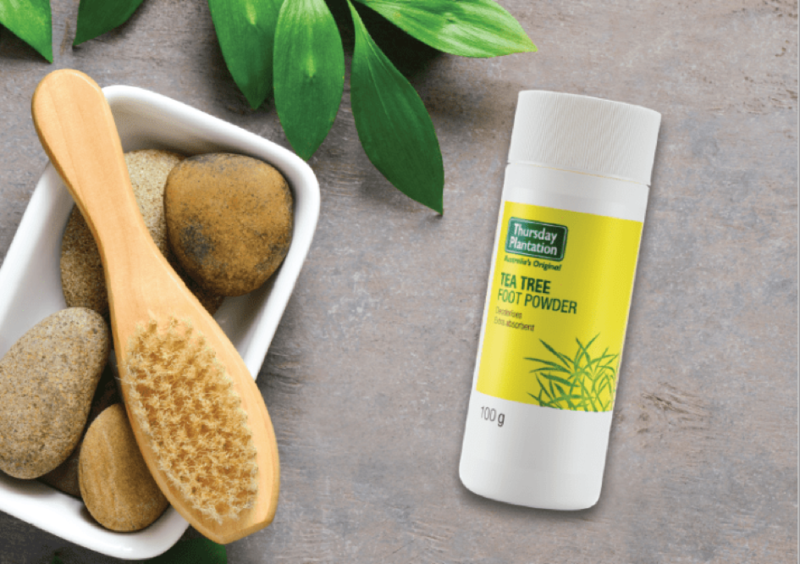 This powder helps to keep feet dry, sweat free and odour free, and it actually puts a spring in my step. With it, I experience “foot confidence” (I have no other good way to describe it) but my feet feel good – much like a great pedi. Try it, and you’ll likely feel it too. 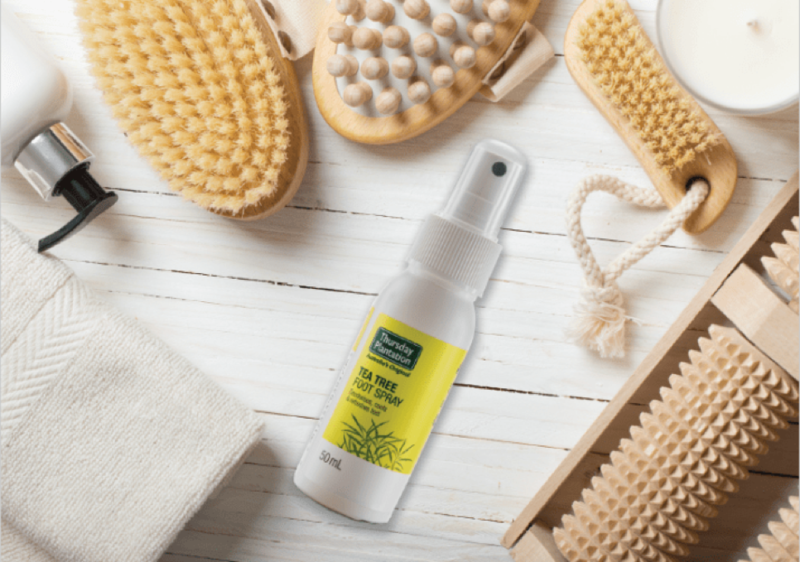 Just like with the spray, you can use it daily on feet, and between the toes too. You can also sprinkle it into shoes and socks for an extra feel-good factor. You can find Thursday Plantation at Clicks, Dis-Chem, selected health stores and Takealot.com. There’s so much more in the range – from shampoo and conditioner to blemish gel and toothpaste.